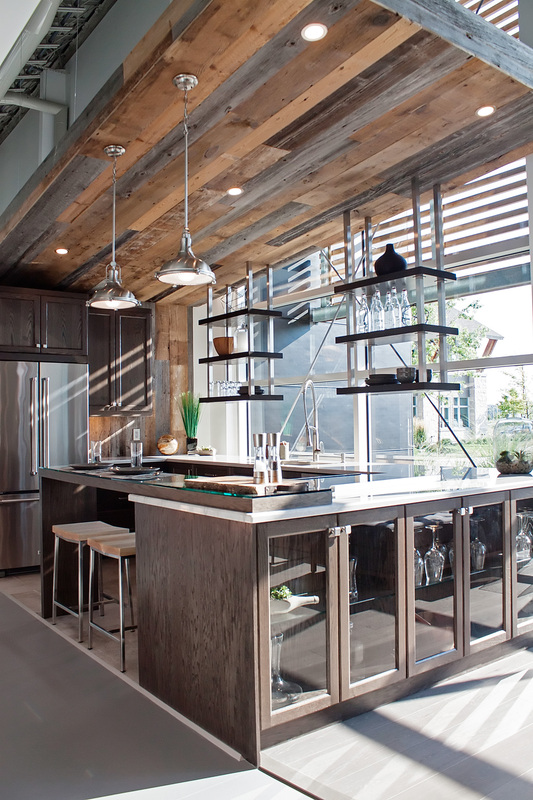 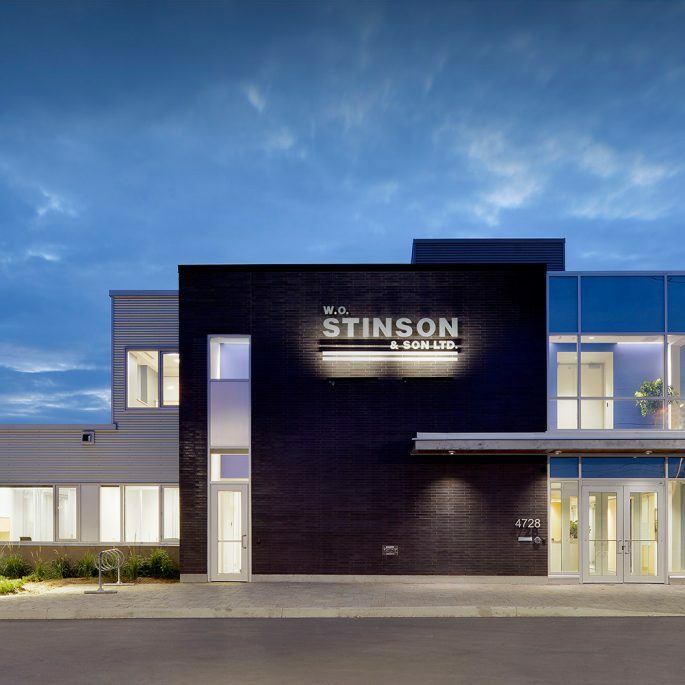 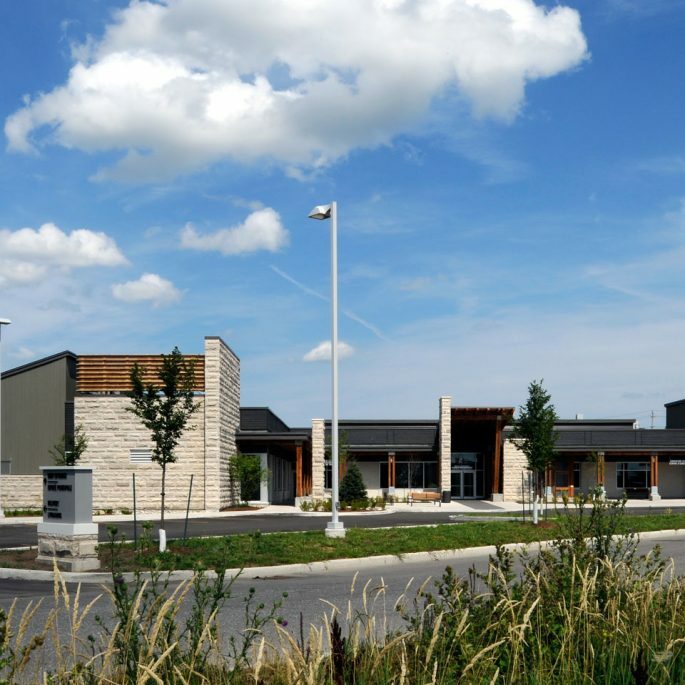 This brand new facility is located in Ottawa’s east end near Trim Road and Highway 174. 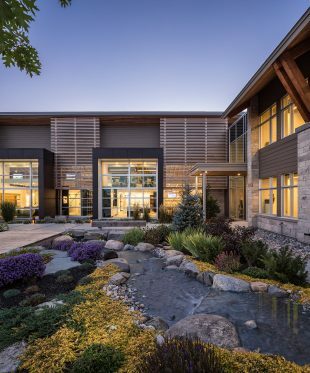 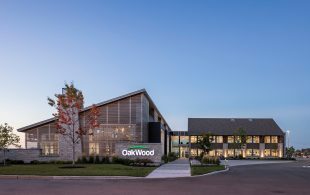 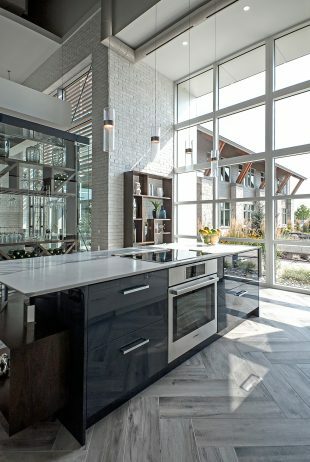 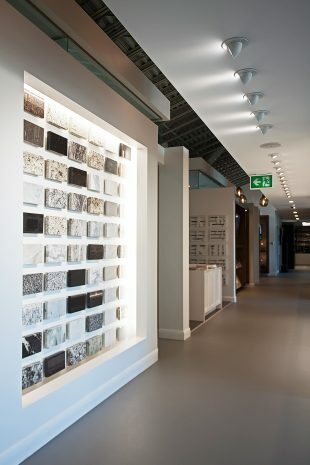 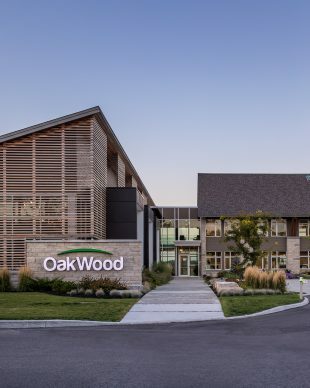 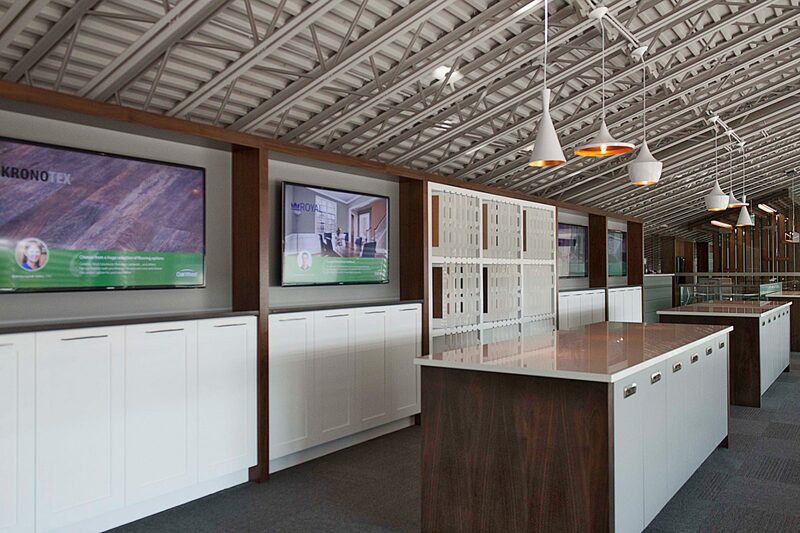 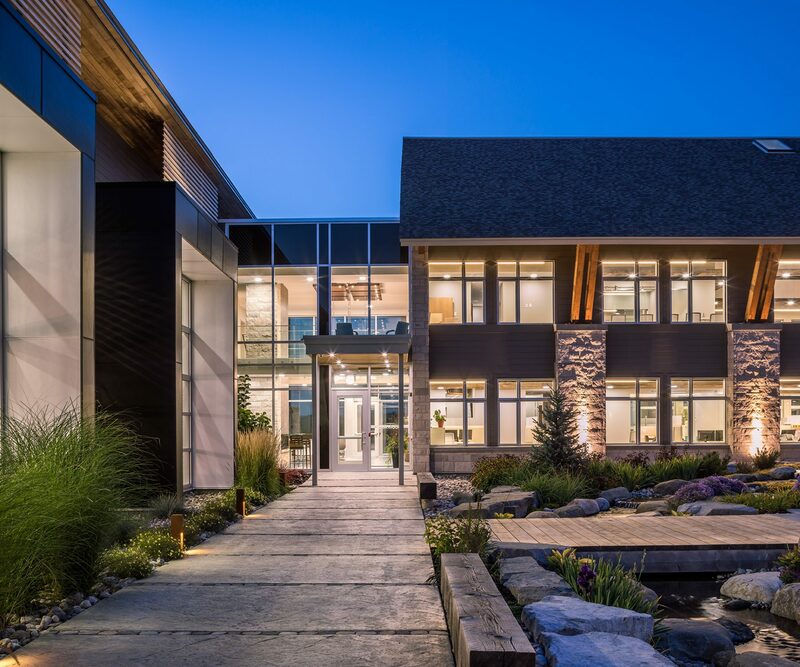 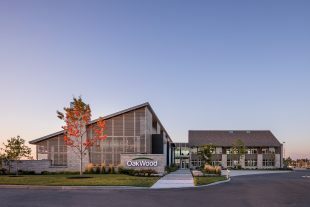 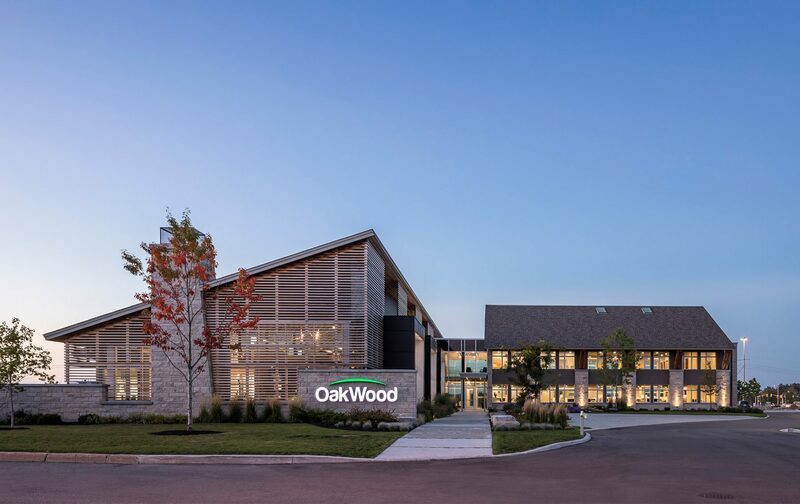 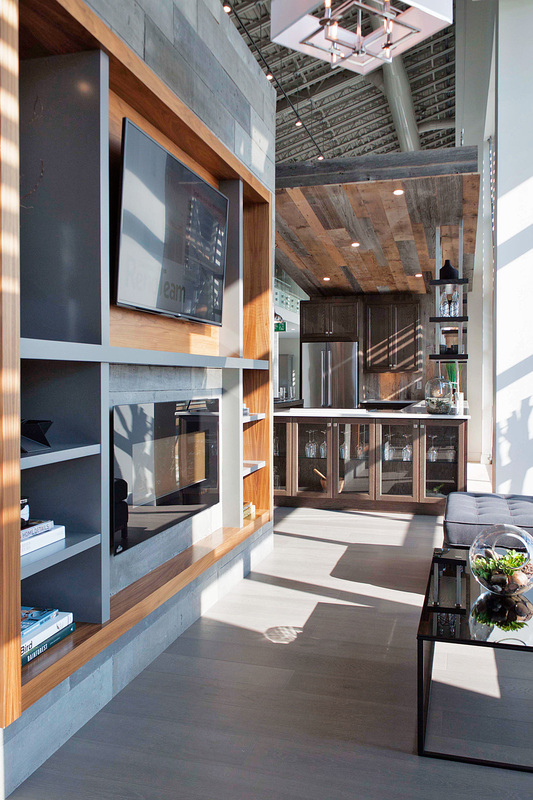 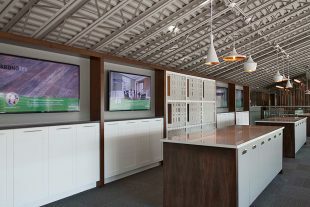 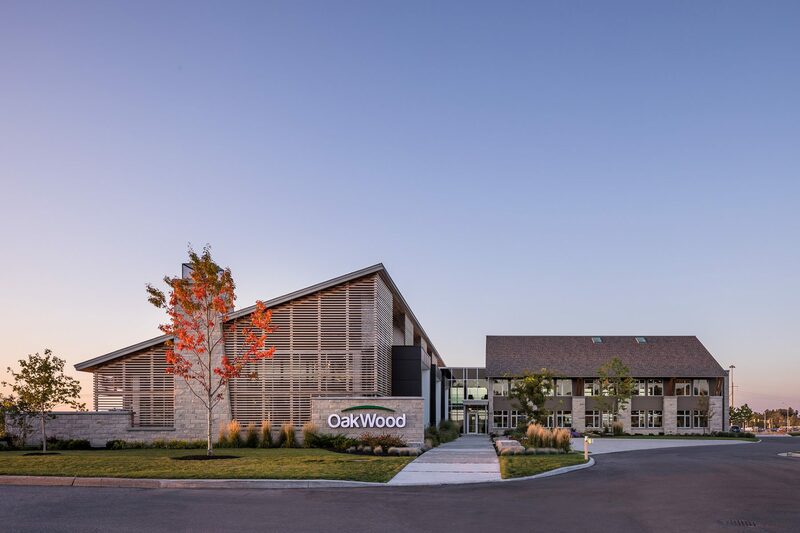 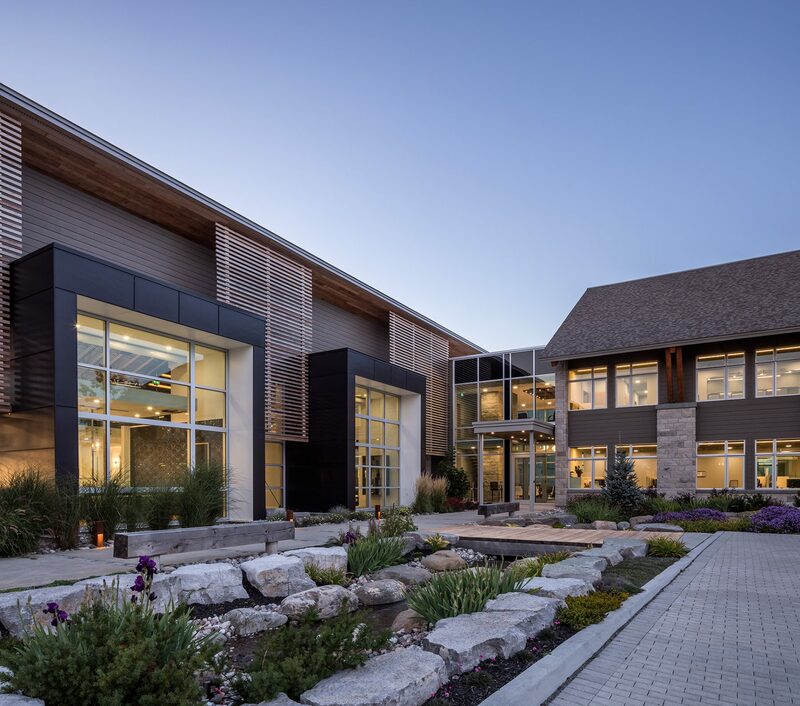 It is the flagship of OakWood’s locations and provides a spacious showroom and corporate offices designed with a focus on providing a healthier environment for staff, a reduced carbon footprint and an economical operating cost. 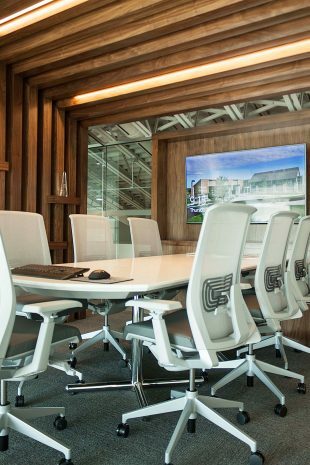 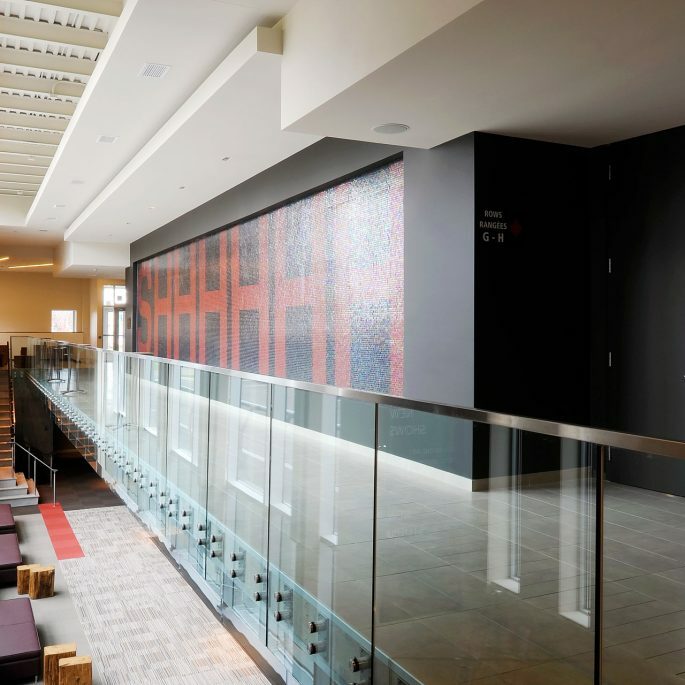 The facility also boasts innovative spaces such as an immersive 3D virtual display room and a 74-screen interactive product showroom in addition to a seminar room with state-of-the-art audio/visual technologies. 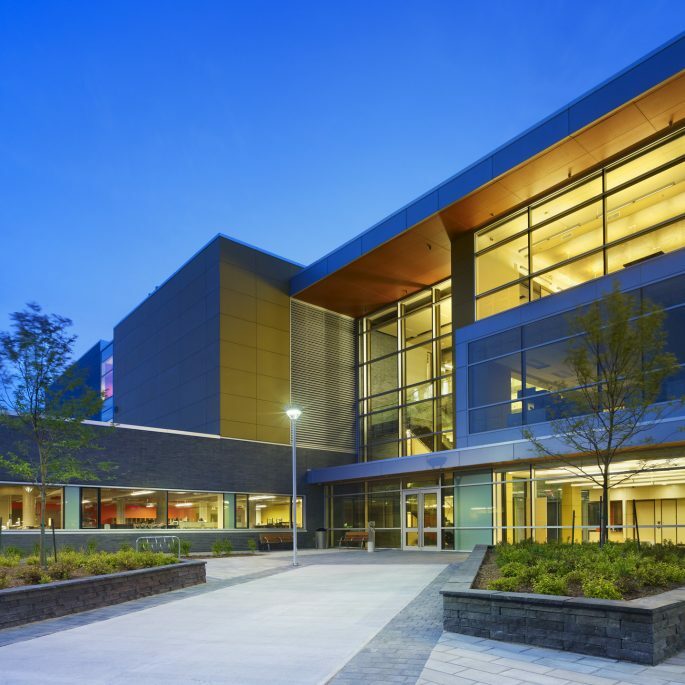 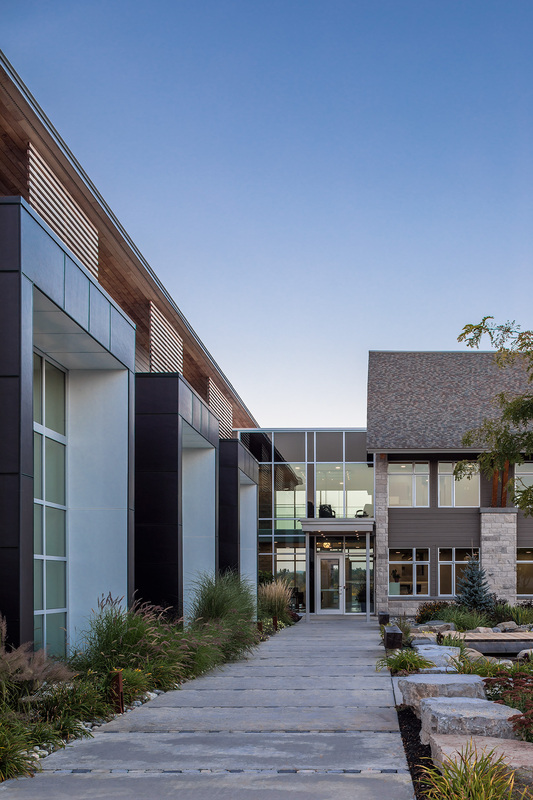 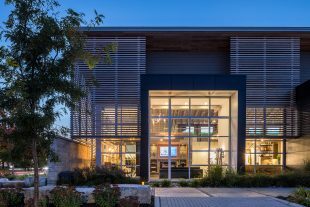 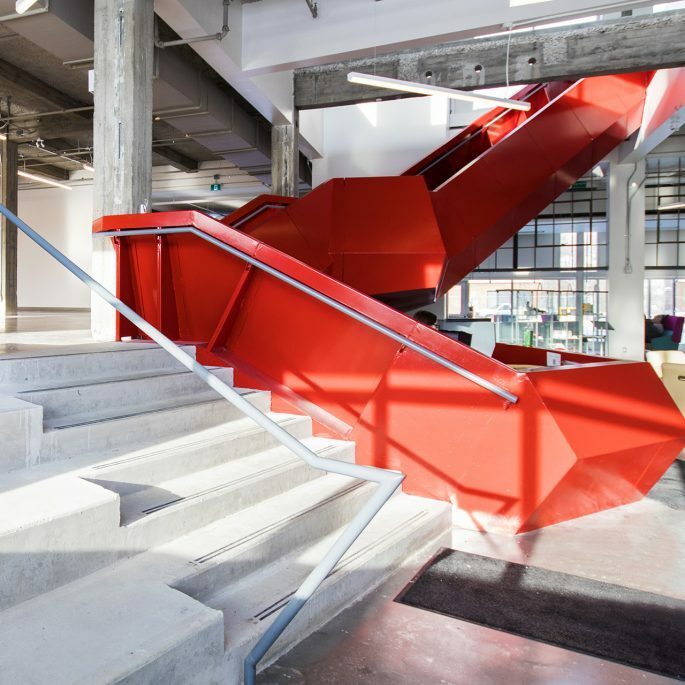 While the new facility is commercial in nature, it is expressed with materials and roof forms that offer a visual suggestion of the company’s range of services.